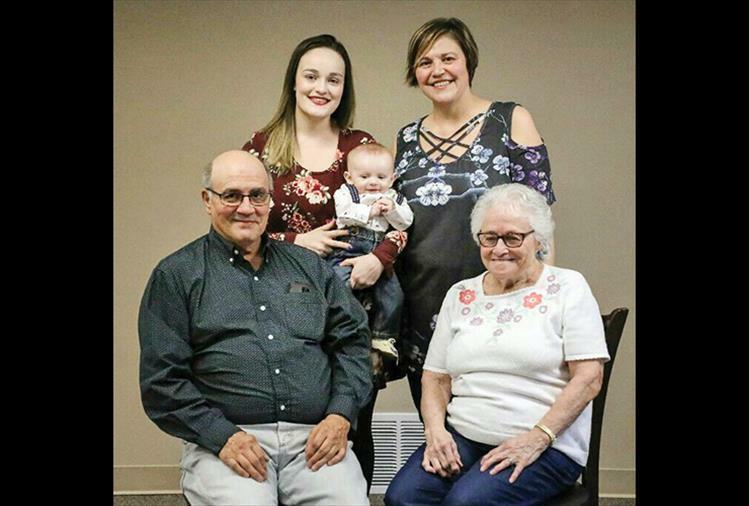 Five generations of the Morigeau family posed for a photo in early February. Seated from left is David Morigeau with his mother, Theresa Morigeau. Standing in the back is granddaughter Claire Frank with great-grandson Aiden Frank and daughter Tracy Morigeau Frank.